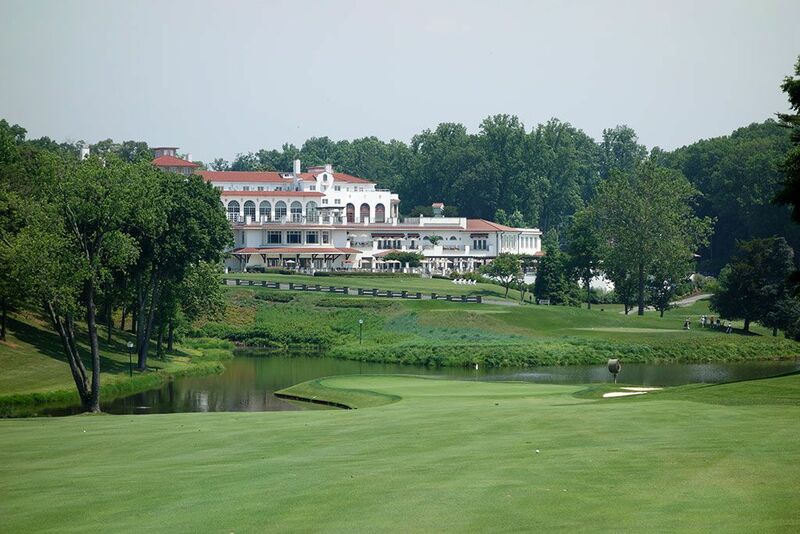 Course Website: Official Website - Visit Congressional Country Club (Blue)'s official website by clicking on the link provided. 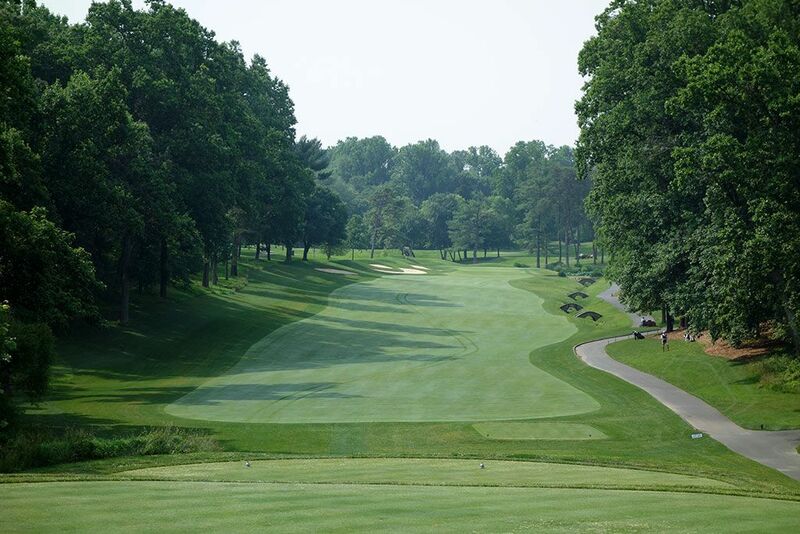 Accolades: Ranked 1st in Maryland on Golf Course Gurus' Best in State list. 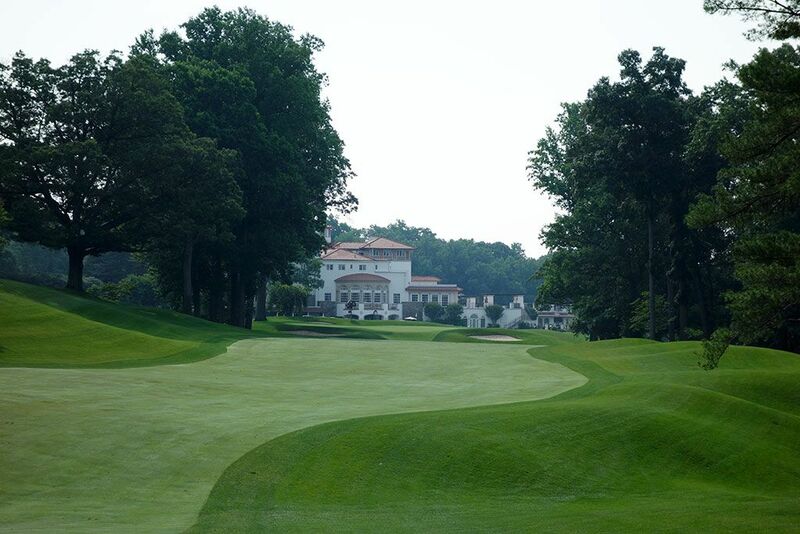 What to Expect: Few clubs on the east coast are more recognizable than Congressional Country Club with its who's-who list of founders and multiple presidents that have walked its fairways. The Blue course at the club's impressive facility has hosted four major championships as well as the 1995 U.S. Senior Open. The proximity to our nation's capital, the country's largest clubhouse, and large population base create the perfect combination for hosting major events. The course enjoys a classic parkland setting with mature trees lining the fairways and bunkers awaiting you at every decisive moment. 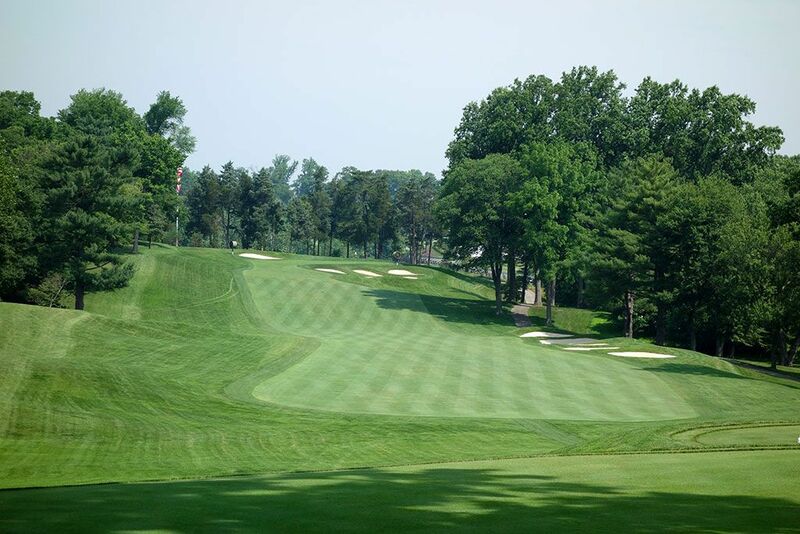 The light green fairways contrast well with the dark green rough to provide additional definition to the golfer's eye and confidence on the tee. The front nine features gentle movements in the property while the back nine enjoys more substantial elevation changes though none of them are too taxing while walking. Plenty of doglegs exist throughout the course and the trees can play havoc with players attempting to challenge them. The conditioning throughout the course is pristine and the greens roll pure which is impressive given the amount of play the club receives. 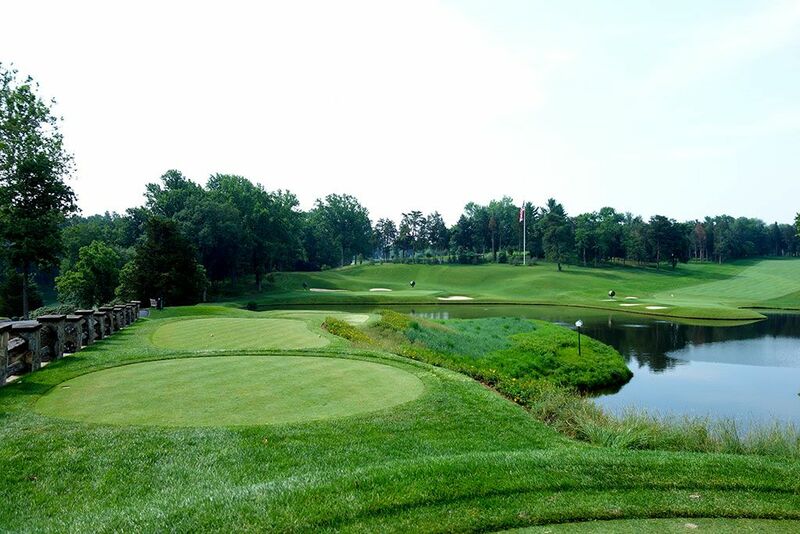 The Blue course is walking only and caddies are required so you will get to enjoy a PGA Tour type experience while at Congressional. In fact, I had different caddies for the Blue and the Gold course and each one had been caddying at the club for over 40 years; that's pretty impressive. Signature Hole: 18th Hole – 523 Yard Par 4 – The 18th is an all world hole. Formerly the 17th hole, this newly crowned finisher is one of the best around. From the tee the hole is rather unassuming with a limited view of the fairway and trees lining both sides. Upon reaching your tee shot you will be presented with the most magnificent view on the course; a downhill approach shot to a green wrapped around the sides and back with water and the clubhouse towering in the background. Approach shots can come towering in from above and stick the green or can be tumbled down the fairway and bounce up through the opening in front of the putting surface. This is exhilarating hole presents one of the most impressive finishing approach shots I've ever come across. 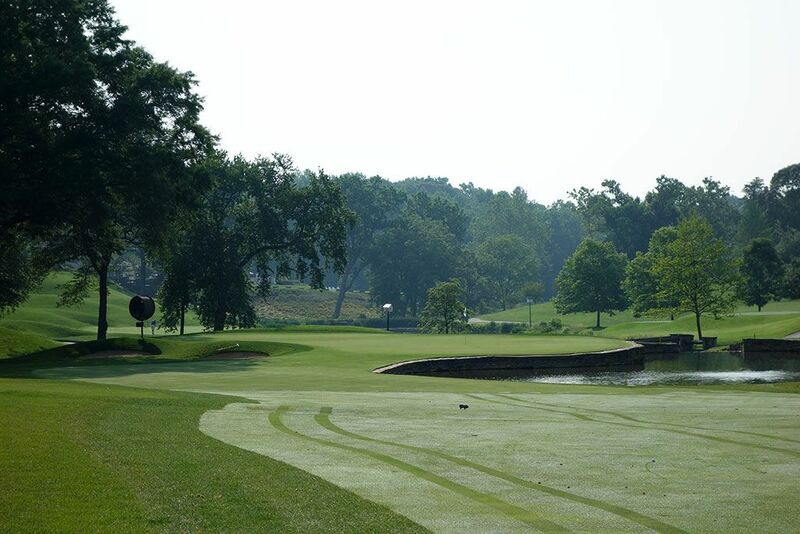 Best Par 3: 10th Hole – 218 Yards – The Blue's most famous hole is this par three that gained its fame due to being the finishing hole until 2007. There are so few courses that finish with a par three, let alone a course that hosts major championships, that this hole became a point of discussion of advocates and haters alike. Now featured as the first hole after the turn, the front of the green is straight across thus there is no angle to take into consideration; your sole goal is to clear the water hazard that runs from tee to green. A pair of bunkers behind the green setup the dreaded sand shot back to a green featuring water behind which can make even the best players sweat a bit. 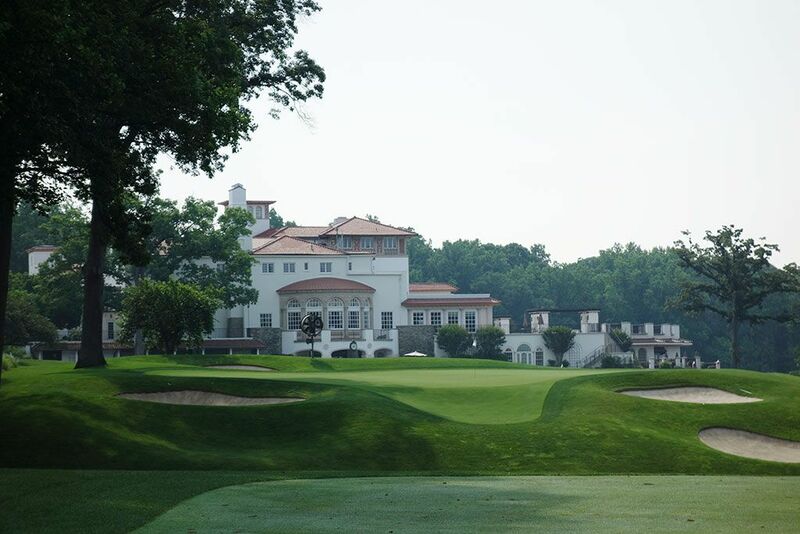 The stadium effect behind the green was an intentional design to accommodate patrons to major events and doubles as an attractive backdrop for the hole. Best Par 4: 15th Hole – 490 Yards – For some reason, I really appreciate playing a hole that doglegs one direction but the terrain slopes the opposite. Though I wouldn't want to deal with that more than once or twice a round, I really like what Congressional did with the 15th hole. A collection of bunkers rests on the right side of the fairway with the terrain sloping toward them. More bunkers protect the green with the only clear opening being in the front left of the putting surface begging for a fade to be played off the sloping fairway. Players bailing out to the left of the green will face a downhill chip shot which can create a difficult up and down when the pin is on the left half of the green. The elevated tee add to the fun of the hole by creating an opportunity to carry your drive further than usual. Best Par 5: 6th Hole – 555 Yards – Previously the most difficult hole on the course, this hole was stretched 80 yards and changed from a par four to a par five for the 2011 U.S. Open. More than half of the green is fronted by water that then wraps around to the right and creates a significant risk/reward opportunity as a par five rather than a death trap as a par four. Bunkers and trees protect the left side of the hole thus narrowing the approach channel in which to bring balls in. The par fives are the most memorable offerings on the front nine with the 6th hole bringing the only front nine water feature into play. As a side note, Mike Tyson's former home to located off to the right of this fairway. Birdie Time: 11th Hole – 489 Yard Par 4 – 34 yards shorter than the par four 18th hole, this short par five is a hole you have to take advantage of. 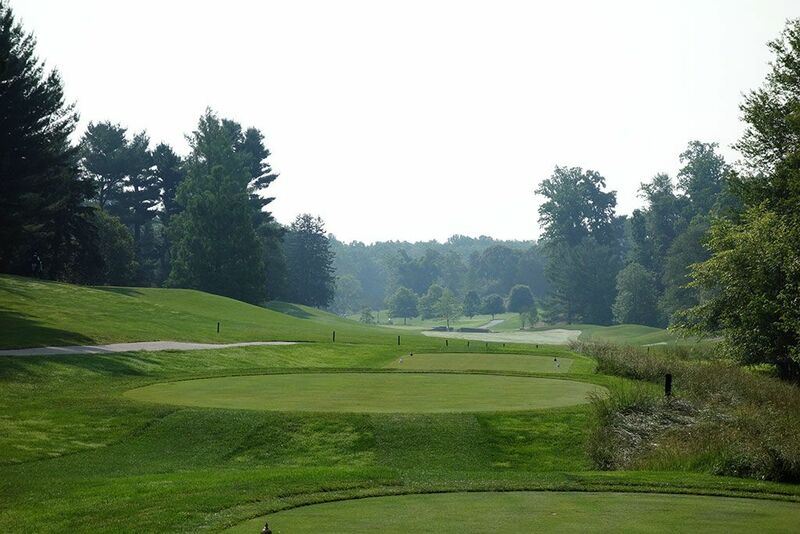 A small creek runs up the right side of the hole and is the only significant obstacle on the hole and will be comfortably avoided by the majority of players. The front of the green is wide open which is nice since it plays steadily uphill the entire way and will be receptive to low running shots. This hole plays as a par four during major championships, as it should, because as a par five it is highly vulnerable. How vulnerable? Our group went 3 for 3 on birdies the day we played. Bogey Beware: 9th Hole – 636 Yard Par 5 – This is a man sized par five that will bring even the strongest players to their knees. Stretching out over 600 yards and playing into the prevailing wind, reaching this green in two is not an option from the tips for mere mortals. The green site is devilish with a ravine front the putting surface and a false front ready to repel balls to an unsavory position. Three bunkers also protect the front of the green a third reminder to take plenty of club on your approach shot while managing to avoid the overhanging tree on the left. The pronounced slope from back to front on the green can make three putting to a front pin location a significant possibility. The clubhouse behind the green acts as an impressive background to the Blue's most difficult hole.